Hypertherm releases the Powermax 125! 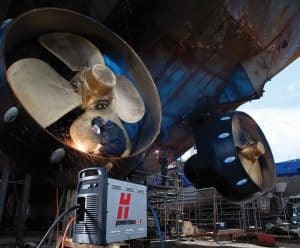 Hypertherm has now introduced the Powermax125, with the new Duramax™ Hyamp torch which sets new world standards in air plasma cutting and gouging. With 100% duty cycle and the longest consumable life in its class, the Powermax125 is the world‘s most capable portable air plasma system for hand, automated cutting and gouging. Besides being the most amazing portable hand cutting plasma we have seen, the new PMX125 is an awesome companion for our PlasmaCAM and Samson CNC Plasma table packages. 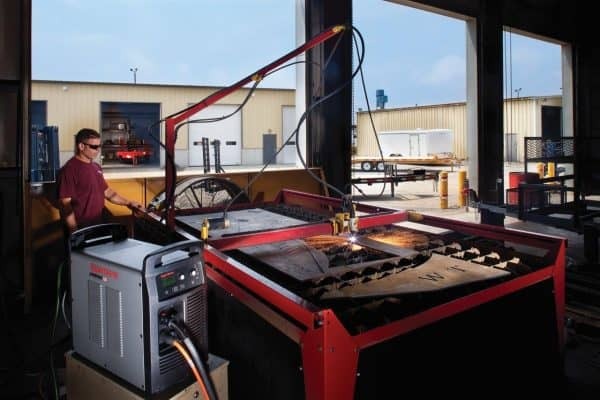 The Hypertherm Powermax 125 plasma cutter integrates very easily with PlasmaCAM and Samson CNC tables. It now gives us a true 25mm metal piercing capacity for CNC applications and some awesome cutting speeds!